Trevor Bayne #6 Performance Plus Motor Oil Ford Fusion-Same scheme as last year, same B- grade. Ty Dillon #13 Geico Chevy SS-Same scheme as last year, same A grade. Daniel Suarez #19 Arris Toyota Camry-Same basic scheme as last year, same A grade. Ryan Blaney #21 Motorcraft Ford Fusion-Same scheme as last year, same A grade. Kyle Larson #42 Target Chevy SS-The color scheme is good, but the design scheme is terrible. If you are going to do a logo montage, do it on the whole car, not just the area around the driver compartment. Not that would have been an improvement. Still, the color scheme is good enough to earn a D-. Aric Almirola #43 STP Ford Fusion-Same scheme as last year, same C- grade. Erik Jones #77 5-Hour Energy Extra Stength Toyota Camry-Same basic scheme as 5-Hour Energy, same C- grade. 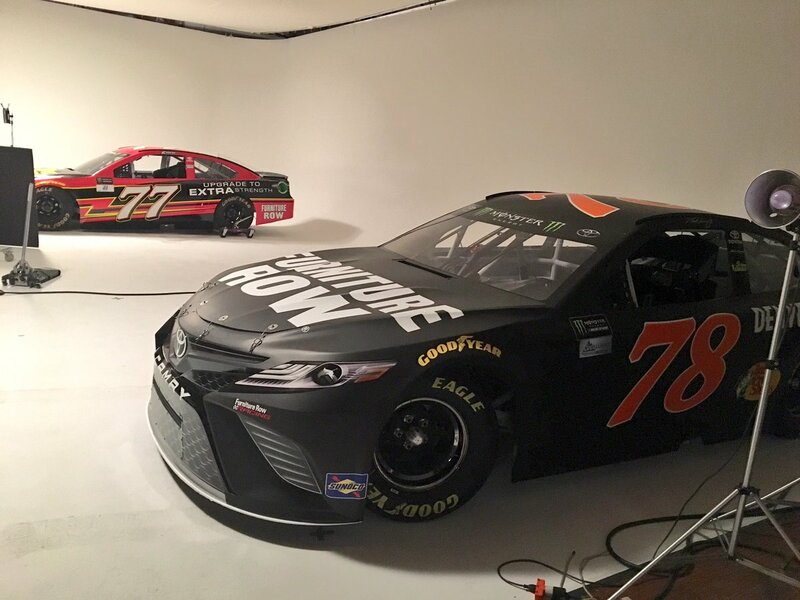 Martin Truex Jr. #78 Furniture Row Toyota Camry-Same scheme as last year, same A grade.